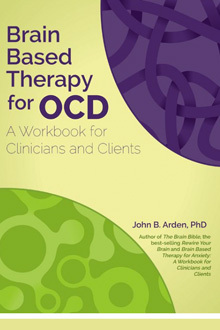 Whatever the level of OCD, mild to severe, the step-by-step activities in the Brain Based Therapy for OCD: A Workbook for Clinicians and Clients will guide you or your client in developing skills to better cope with the disorder. Brain Based Therapy for OCD Workbook is easy-to-read, encouraging, full of vivid examples and up-to-date information – and highly practical. Decrease time spent obsessing and ritualizing. Neutralize anxiety-producing triggers. Lifestyle changes that reduce the anxiety underlying OCD. Manage setbacks and create a relapse prevention plan.